Every year we have a Halloween party for our family and friends. The children get so excited and we go all out for it, we all dress up, play fun Halloween games, tell spooky stories (not too spooky) and have chili and hotdogs. The children and adults always have such a great time. I love planning a party so when it comes to Halloween I'm always looking at new games to play, DIY decorations, and spooky food ideas etc, to make it better than the last. 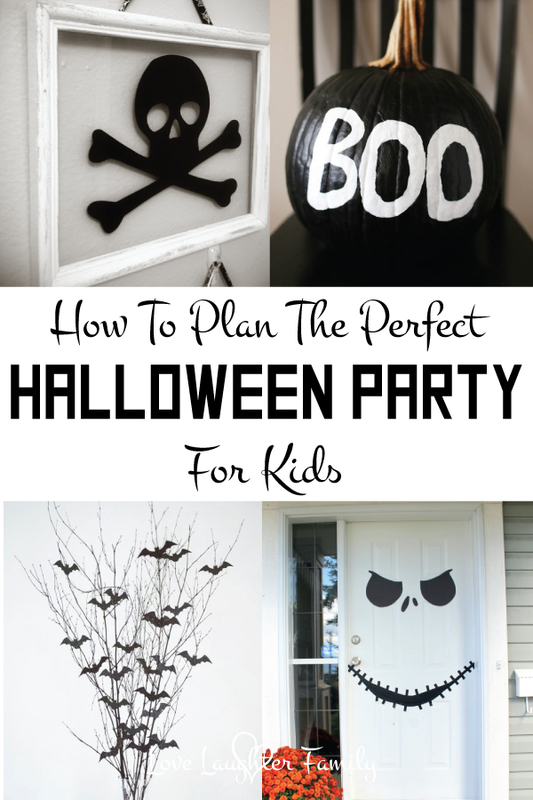 Today I've outlines the steps i take to create a scary memorable Kids Halloween Party. 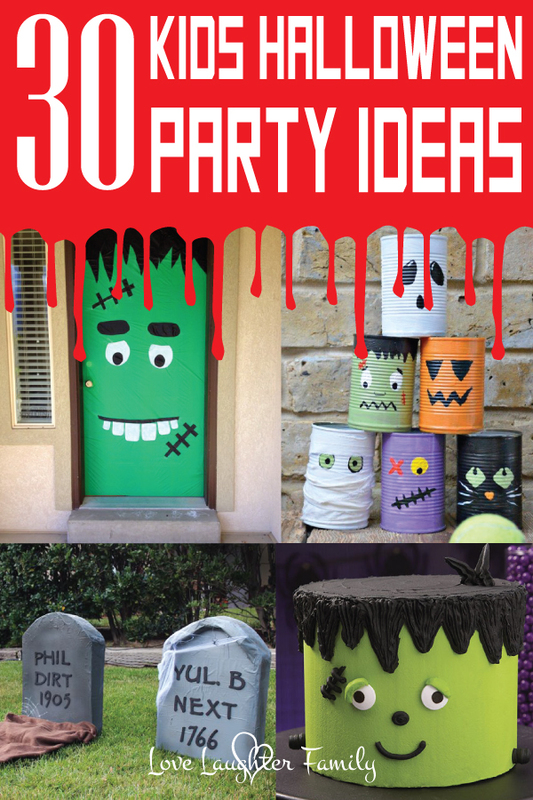 Here are some ideas to create a fun filled, spooky Halloween party. Bring your party to life with some DIY Halloween decor. The fun starts in the front yard so make sure you start with these basic props and decorations. When your guests arrive you want them to know they are in for a fun packed night or scares and dares. Here are some DIY yard Halloween ideas to get you started. imagine your garden filled with these ghostly figures. They are not as hard to make as they look. Although this takes a bit of time and might be a two man job it's well worth the effort. These look great. These DIY tombstones will add a spooky feel to your front yard or garden. These would look good with some dry smoke machine and those chicken wire ghosts lurking around. Trick or treaters and your guests are ready to knock, but what frights will they meet on your porch. Here are some ideas we found to get you ready. Put these on your porch to make it look like there are witches are at your party. If you have space these witches hat lights add a nice feature to your spooky yard. Wizard of oz style. Make these DIY witches legs and place them in a bush or straight into the ground. We can't forget the must have pumpkins. Get creative with your kids. We found so many great pumpkin ideas on Pinterest, here are a couple of our favorites no carve pumpkins. Lastly, let the kids help decorate your door. Your aim is to excite your guests from the moment they see your house right up until they reach the door. Next let's look at some ideas for Halloween interior decor. Of course you can just head out to the shops or go online to find a lot of fun Halloween decor and you should but if like us you like a to have a go and stretch your money then these DIY decorations will inspire you. No party comes without food. Most of the time it's a buffet and for good reason, its easy and you can prep and make food during the day. Your guests will want to pick as and when they feel hungry. Most conversation between adults is usually at the buffet table. It's defiantly where Luke hangs out at our parties. Keep it simple and add in some of these fun scary food ideas. Here are some Halloween themed food ideas. So good I could eat them. The kids will absolutely love them. Who doesn't love pizza, it's a buffet must. these Mummy pizzas look really fun and easy to make. I think I'll try them one day this week with the kids. You need a centerpiece and it should always be cake. Cake, cake, cake. My mum makes the best cakes even if she doesn't think so. Here are two ideas to get you thinking. If your family loves unicorns they will love this cake idea. 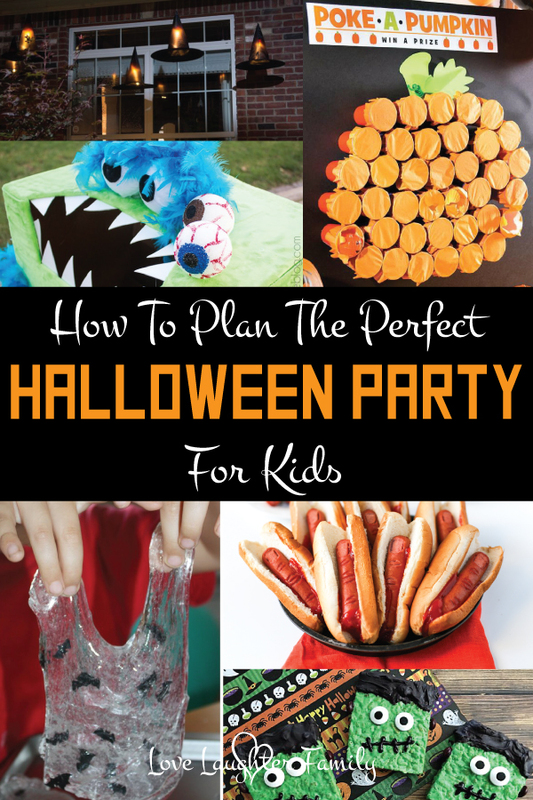 Complete your Halloween party with some fun games for the kids and big kids in some cases. Of course there are your must have traditional Halloween games like hanging donuts AKA the best game ever we play it every year and apple bobbing but there are many more games you can try. Here's a list of a few we thought you'd like. Slime is booming right now, although it is a pain to clean up kids love it. Create a slime station for the kids to make or play with slime. As you can see planning your Halloween party shouldn't be such a daunting challenge. There are plenty of DIY Halloween party ideas here for you. Get creative and make this year's Halloween party the best one yet. I can't wait to see the look on the kids faces when we have our annual family party at the end of the month. There's just one more thing you need to do. Find the perfect outfits to wear. I'll leave that to you for now. I hope you enjoyed this post, if you did please share it by pinning it on Pinterest.